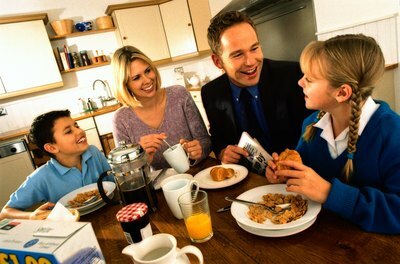 The best foods to eat before a test include those with complex carbohydrates. Why complex carbohydrates? These take longer for the body to break down into sugar, leaving the body with the ability to use them as continuous energy sources. Some good foods containing complex carbohydrates include dairy products, legumes and nuts. If your blood sugar or energy levels are up and down, this can lead to inattention, restlessness and tiredness while level energy levels allow you to think clearer and maintain the attention necessary to complete a test. Foods high in fiber and protein have also been shown to help brain power. A dish of scrambled eggs might be the best breakfast before the big test. 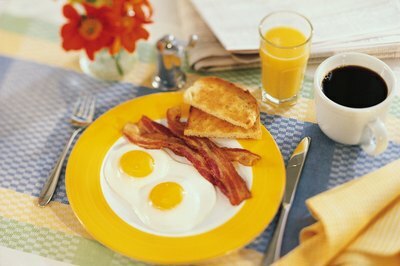 Eggs are full of nutrients, including protein and B vitamins, one of which is choline and necessary for brain function. Choline is a main part of fat-containing molecules, which the brain has many of, and it helps your cell membranes function properly, makes them strong and helps your nerves to communicate with your muscles. Add some leafy greens and fruit on the side to maximize nutrients for brain function. To maintain blood sugar levels during the day, oatmeal--made from roasted oats--is full of nutrients, including manganese and selenium, which are vital to brain health. 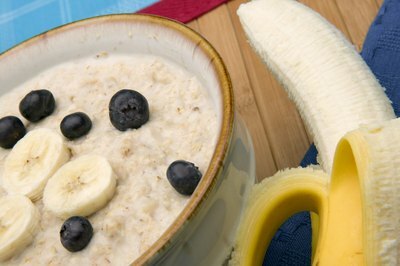 Oats are high in fiber; in fact, according to the U.S. Department of Agriculture (USDA), one cup of oats can provide you with almost 20% of your daily requirement. One dietary fiber high in a bowl of oatmeal is called beta-glucan, which works well to regulate blood sugar levels and helps to stabilize the levels throughout your day. As a member of the legume family, peanuts contain many nutrients essential for healthy brain function. 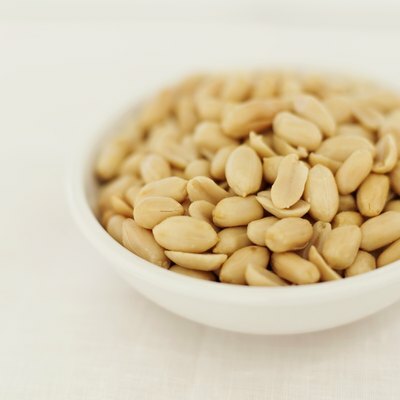 Peanuts are high in protein, containing about 20% of your daily recommended value, according to USDA guidelines. Peanuts are a good source of the vitamin B niacin, which helps to maintain low blood sugar that is necessary to steady energy levels. With these healthy brain benefits, you can enjoy your peanut butter and jelly sandwich before taking that tough test. What Sort of Preservatives Are in McDonalds Food?